Danny Fishman has visited all of Harbor Point’s apartment buildings — and all of its restaurants, bars, pharmacies and grocery stores. Since last summer, Fishman and his colleagues at the Manhattan-based Gaia Real Estate have established a constant presence in the mixed-use development in the city’s South End. Those trips have produced one of the biggest real estate deals in the city’s history as the firm acquired five Harbor Point apartment buildings for approximately $395 million earlier this month. Gaia’s acquisition recognized the transformation in recent years of the South End and showed that a growing number of investors view Stamford as an emerging city with significant growth potential. Gaia and four institutional partners — three Israeli firms and a French retirement fund — acquired the properties from Stamford-based developer Building and Land Technology and the Lubert-Adler Real Estate Funds. The portfolio includes The Key at Yale & Towne, Vault Apartments, The Lofts at Yale & Towne, 111 Harbor Point and Postmark Apartments. Together, they house about 1,200 units. The sale ranked as the largest in the city since a group of buildings at Landmark Square in downtown Stamford sold in 2007. For Gaia, the purchase represents its second largest since its 2009 founding. Fishman and his colleagues had tracked Stamford’s growth for years, but they began to seriously contemplate in the summer making their first move in the city. As he and his colleagues got to know Stamford, Fishman said he noticed a gap between the city’s reputation and their experience on the ground. Since BLT began construction in 2009, a once-industrial section of the city’s waterfront has transformed into an approximately 100-acre development; Harbor Point now houses some 2,360 apartments, with another 2,400 planned. Secondary-market cities like Stamford appeal to real estate investors looking for a faster return than they would receive in core markets like New York City, said David Eyzenberg, founder and managing partner of Eyzenberg & Co., a Manhattan real estate investment bank, and an adjunct professor in New York University’s Stern School of Business. Investors see more volatility in secondary markets and require higher current returns for properties in those areas, he said. An acquisition in New York City could earn 15 percent to 20 percent of its return from cash flow and the balance after a “capital event,” such as a sale or refinancing, according to Eyzenberg. Fishman said he expects Gaia’s Harbor Point buildings to generate 50 percent of their return from cash flow. “You are effectively getting a substantial return faster, as the New York deal requires you to wait until the very end to make the substantial portion of your profit,” Eyzenberg said in an email. Fishman, 50, was born in Jerusalem. He has worked almost 25 years in fund management, real estate and related fields. Since 2009, Gaia has invested more than $2.5 billion, with its portfolio including some 18,000 apartments and approximately 575,000 square feet of office space. The firm’s name refers to the Greek goddess of Earth. 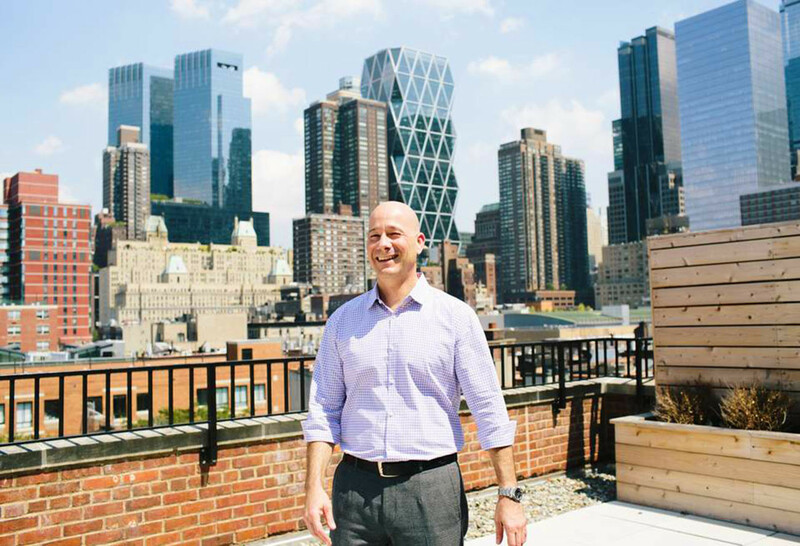 The company started out in the recession buying up New York City condo properties at deeply discounted rates, working with developers who needed the business to meet sales thresholds to open their new buildings. While praising BLT’s work in Harbor Point, Fishman said Gaia wants to improve its new buildings’ amenities. The firm is considering features such as co-working areas, yoga and Pilates studios, pet spas and bicycle stations. Gaia will employ about 30 in Stamford to manage the Harbor Point properties, Fishman said. Rents would not go up, Fishman said. The Harbor Point buildings represents a long-term investment, and the firm would also consider buying other Harbor Point apartment buildings and residential properties elsewhere in Stamford, he said. Citing the emergence in recent years of the “Silicon Alley” technology sector in New York City, Fishman said that he sees similar potential in Stamford.